From my early evening drive. Almost makes ya wanna like it here. This is why I like it here. The city (like all others) I can mostly take or leave. But the desert is home for me. I like being able to see 70 miles on a clear day. 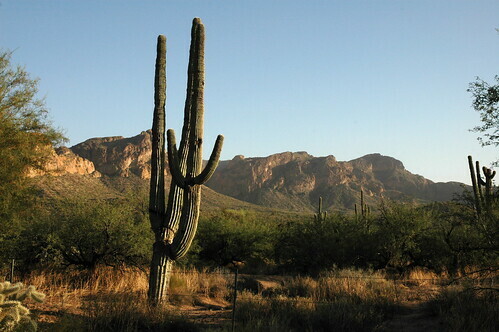 I love the saguaros and the stark geography. I love the amazing electrical storms, with the white lightning. It's not for everyone though. I enjoyed the drive - good light and lots of scenery. Saguaro Lake was interesting, but not as photogenic. That's as far as I got before I decided it wasn't smart to be out there with less than a quarter tank of gas with dusk approaching. I do blame you Randy - for a job where I don't have to make lists of people we're going to fire lay off next every couple of weeks.